Aberdeen Lifeboat Station is a Royal National Lifeboat Institution (RNLI) marine-rescue facility in Aberdeen, Scotland, United Kingdom. Aberdeen was one of the first lifeboat stations to be established in Scotland, it was founded in 1802. The station is currently equipped with a Severn-class lifeboat, the Bon Accord and a D-class (IB1) inshore lifeboat, the James Bissett Simpson. ^ a b "Aberdeen Lifeboat Station". RNLI. Retrieved 29 March 2014. 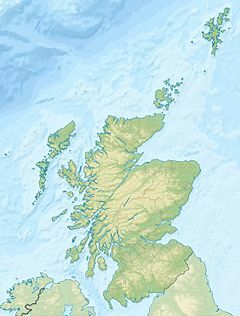 Wikimedia Commons has media related to Aberdeen Lifeboat Station. This page was last edited on 4 November 2018, at 22:17 (UTC).